As autonomous vehicles would change the way we drive, they also require us to change driving laws and regulations. 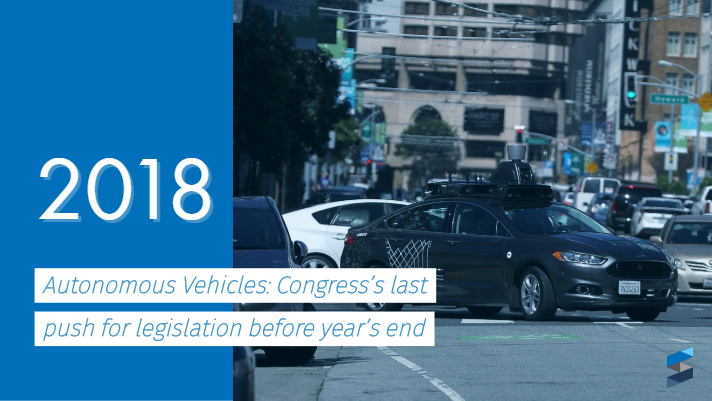 This week, senators began to circulate new language for the “American Vision for Safer Transportation through Advancement of Revolutionary Technologies Act” (aka the AV Start Act), a bill that’s lived in congressional limbo for nearly a year. Critics raised concerns about safety standards laid out in the first draft of the bill, pointing out a loophole that would force consumers into private arbitration for legal complaints in the event of an accident or something similar. This new draft of bill attempts to address these concerns, including oversight of semi-autonomous driving systems like Tesla’s Autopilot and General Motors’ Super Cruise. Another section requires vehicles without traditional systems, like steering wheels, to pass all other existing occupant protection requirements. Additionally, the car itself would be subject to a vision test, not the driver. The edited bill, if passed, would also make it easier for autonomous vehicle manufacturers to test their cars on public roads. Aside from clearing up laws about autonomous vehicles, self-driving industry reps also want to avoid a patchwork of local and state regulations. For instance, one state may require self-driving cars to have a specific sensor setup but over the state line there could be a different setup requirement. According to the National Conference of State Legislatures: at least 36 states have either enacted legislation (or executive orders) governing self-driving vehicles. As the technology proliferates, the differences between all those sets of rules could become a national issue. Time to get everyone in line, though, is running out: If legislators don’t pass this bill by the end of the year, both the House and Senate will have to start over from scratch in the new Congress.